Authorities Wednesday marked the 11th anniversary of the murder of a mentally disabled Carlsbad woman by renewing their call for public help in solving the killing and noting that a $52,000 reward remains unclaimed. Jodine Elizabeth Serrin, who was high-functioning and active in several social organizations, was murdered on Valentine’s Day 2007 inside her condominium in the 1900 block of Swallow Lane. An autopsy determined the 39- year-old victim died of blunt-force head injuries. Serrin’s body was found by her parents, who went to her home around 10 p.m. after being unable to reach their daughter by phone. 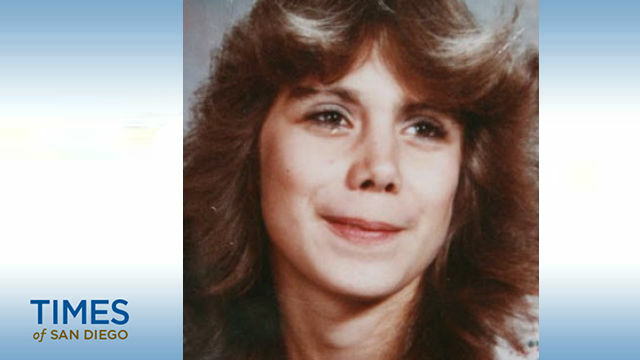 When they let themselves in with their own set of keys, they found a partially dressed man in his 30s in bed with her, “engaged in apparent intimate activity with Jodine,” according to a website established by the Carlsbad Police Department to help solve the cold case. Believing they’d found out why Serrin was not answering her phone, but concerned that the man was taking advantage of their daughter, Serrin’s father told the man to get dressed. The parents waited in the living room to allow her a moment of privacy, expecting an embarrassed couple to eventually emerge from the bedroom. But when they did not come out, “the father entered to find that the man was gone and his daughter had been brutally murdered,” according to the Carlsbad police narrative of the case. On Valentine’s Day 2010, three years after the slaying, Serrin’s parents offered their own $1,000 reward, doubling the standard $1,000 reward offered by San Diego County Crime Stoppers. Days later, then-Gov. Arnold Schwarzenegger approved a $50,000 reward for tips leading to an arrest and conviction, bringing the potential reward up to $52,000. Last year, Carlsbad detectives and the San Diego County District Attorney’s Office sought the help of Virginia-based Parabon NanoLabs, a DNA technology company that specializes in DNA phenotyping, which predicts physical appearance and ancestry from unidentified DNA evidence. Based on the DNA evidence found at the murder scene, the company’s “Snapshot” service produced a computer-generated mug shot and trait predictions for a possible suspect that included the subject’s ancestry, eye color, hair color, skin color, freckling and face shape. According to that composite, the suspect in Serrin’s killing at the time of her death was a fair-skinned man of Northern European ancestry with green or blue eyes, sandy blond or light brown hair and some freckles. Witnesses also described seeing a heavy set man between 5 feet 8 inches and 6 feet tall leaving her condo that night. Anyone with information about Serrin’s murder was asked to call the Carlsbad Police Department’s Cold Case tip line at (760) 931-2225 or the Crime Stoppers anonymous tip line at (888) 580-8477. Tipsters can also provide information online at www.sdcrimestoppers.org.